It is now official: Iraq leads the league of the worst-performing democracies on the planet. On 19 December 1977, 208 days after the Dutch general election of 25 May 1977, the Christian Democrat CDA finally formed a coalition government with the Liberals. For months, the big winner in the election, the Labour party, had attempted to form a government combining itself and the CDA – a new conglomerate of old Christian parties which included some left-wingers that had cooperated with Labour in the previous government. However, thanks not least to personal distrust between CDA and Labour leaders, the anticipated agreement fell through and the CDA-Liberal government was formed with the slightest possible majority. It lasted until 1981. At midnight Friday, Iraq will have beaten that record, with no end in sight for its slow attempts at forming a government. Compared with the Netherlands in 1977, the party most likely to form the next government – the National Alliance (NA) – for a long time did not even managed to agree on its candidate for premier, or indeed to what extent it exists as a bloc. In the Netherlands, the CDA represented a coalition of several smaller parties that historically had catered for the Catholic and two Protestant sub-communities which in 1977 agreed to coalesce behind Dries van Agt, a Catholic, as prime ministerial candidate for a moderate centrist electoral alliance. By way of contrast, in Iraq, the mainly Shiite NA is still experiencing bitter subdivisions about who should be prime minister, with the main battle front between the State of Law list headed by the current prime minister, Nuri al-Maliki and the Islamic Supreme Council of Iraq (ISCI), whose premier candidate is Adel Abd al-Mahdi. Kingmakers in the internal NA contest are the followers of Muqtada al-Sadr, who control some 40 seats in the new parliament. Just like the situation of the Labour party in the Dutch election in 1977 and its failed attempt to build a coalition with CDA, the big winner in the Iraqi elections – the secular Iraqiyya, which enjoys particularly strong backing in Sunni-majority areas – has been unable to exploit its victory due to personal differences with the most plausible coalition partner, the State of Law list of Nuri al-Maliki. Instead, Iraqiyya has been pinning its hope on personal ties to parties with which it has less in common ideologically, such as the Kurds plus the Sadrists and ISCI within the putative NA. 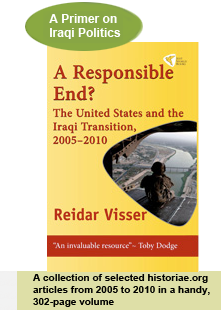 The problem so far has been an unwillingness by these forces to commit to an Iraqiyya premiership; instead they are using the negotiations with Iraqiyya mainly as leverage in their own multilateral talks – winning the internal NA contest as far as the Sadrists and ISCI are concerned, and improving their negotiation position vis-à-vis NA in the case of the Kurds. A major difference with the Dutch situation in 1977 concerns the international and regional environment. Of course, in 1977, the Social Democrats in power in Germany under Helmut Schmidt did not intervene in Netherlands to rescue their socialist brethren there even as their talks with CDA collapsed and led to their marginalisation. Nor were there any Americans or international think-tankers jumping up and down demanding that all winning lists be included in the government at any price, which doubtless would have prolonged the whole affair quite considerably beyond December 1977. In fact, what happened in the Netherlands in the 1960s and the 1970s was that the “pillars” (verzuilingen) of the Catholic and two Protestant sub-communities gradually weakened as modernisation and secularisation kicked in, forcing the leaders of these communities to think in new ways and reinvent themselves as a modern Christian Democratic party on the standard European pattern. No international players stood up to artificially prop up the increasingly outdated agendas of the old community leaders by demanding their representation as bloc leaders in the Dutch government; rather these forces succumbed to broader developments in Dutch society. In 1994, for the first time, a government was formed without the forces that had merged to form the CDA in 1977 (again, no international intervention to rescue them, of course) and in 2004 the two Protestant sub-communities merged to form a single church. 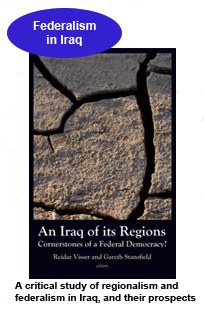 By way of contrast, in Iraq today the regional and international environment is very much a factor at play, not least in buttressing the ethno-sectarian leaderships and their stranglehold on Iraqi politics. Iran is playing its cards best, by simply choosing to support any coalition that is formed with the all-Shiite NA in the lead. The obvious antidote to that kind of sectarian politics would have been a strong coalition of the secular Iraqiyya and the one half of the Shiite alliance with which it has most in common ideologically – State of Law. Iran clearly became concerned when there were tendencies in this direction some months ago, and therefore promptly upgraded its relations with Maliki after a period of considerable tension. But the United States never wholeheartedly embraced the logical alternative to the Iranian policy, preferring instead to articulate support for an almost impossible end game of all four lists coming together under some kind of Byzantine, new power-sharing arrangement – thereby keeping ethno-sectarian alliance alternatives like the pro-Iranian NA alive and distracting Iraqi leaders from the far simpler and more viable alternative of a bilateral deal between Allawi and Maliki. It is particularly noteworthy that the American proposal would have necessitated constitutional reform, making it even more time-consuming and therefore vulnerable to machination by potential spoilers like Iran. In this way Maliki was ultimately pushed back into the Iranian fold where he still appears to be today, having recently made more progress towards winning the nomination as the premier candidate of the NA. (It is particularly noteworthy that de-Baathification guru Ali al-Lami for the first time appeared to be aligned with Maliki when the parties met earlier this week.) But any agreement on Maliki would of course only be the beginning of the negotiations with the others. Here’s a warning: In the case of the Netherlands in 1977, almost 6 months lapsed in negotiations between CDA and Labour before they were broken off and gave way to CDA-Liberal negotiations. The key question in Iraq is how big the protests against Maliki inside the NA will be. If they are very limited, Maliki could be able to form a government with the Sunni Islamist Tawafuq and religious minority representatives and could then open negotiations with the Kurds without having to give up everything in return for their support. If the defections are on a more significant scale – say 10-20 deputies – then Kurdish leverage would increase quite significantly, since Maliki would be under pressure and there would be a theoretical alternative bloc to supply the premier candidate consisting of Iraqiyya and the defectors from the NA. And obviously if the protest against Maliki is very big and encompasses both Sadrists and ISCI within the NA, then the scenario discussed in some corners about Adel Abd al-Mahdi emerging as an alternative NA candidate for premier, more acceptable to Iraqiyya than Maliki, could once more become relevant (even if such a comeback is looking increasingly difficult given its recent characterisation as an “American plot” by its political opponents). Still, any premier that emerges from an NA framework will owe his position to the Sadrists as kingmakers; only a defection whereby Abd al-Mahdi or parts of ISCI join Iraqiyya as a bloc would circumvent the NA logic supported by Iran altogether. Such a move – while doubtless positive for Iraq in terms of a distinctively Iraqi protest against regional and international manipulation even though the only thing that in reality unites these parties is hatred of Maliki – would require a dramatic change in position by ISCI leaders who until recently were the driving force in recreating the Shiite alliance at Iran’s behest (in August 2009 and again in May 2010). You may not have heard about this, but Dutch politicians have been working on forming a new government this summer too. They started in June, so there should still be plenty of time left. There are now fresh rumours about a breakthrough involving a constellation of parties quite similar to that which prevailed in 1977, with CDA and the Liberals this time hostages to a bunch of ardent anti-burka activists as their third coalition partner. In the Netherlands, it is normal for these things to take time, and some have argued that the problems of Iraq should be seen in a similar light. That is however misleading. 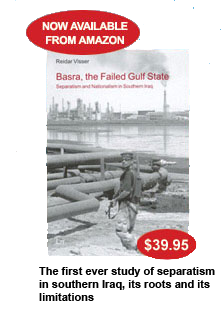 Unlike the Netherlands, Iraq does not have a functioning economy or basic infrastructure. Its citizens live on top of some of the biggest oil resources in the world and yet their living conditions remain at Third World levels. The people demand jobs, services and security and yet the elected leaders prefer to engross themselves in sectarian bickering – and, crucially receive encouragement from the “international community” in doing so. Hopefully, with the world record of irresponsible behaviour by elected (and paid!) parliamentarians now blasted, some of those Western “experts in democracy and nation-building” who have been tirelessly preaching power-sharing democracy for Iraq and “broadly inclusive governments” will understand that consociational democracy and its endless intrigues are better fitted for societies where people can afford not to know the name of their prime minister. POSTSCRIPT: At 16:30 local time Baghdad on 1 October, the NA reportedly agreed on Nuri al-Maliki as its prime ministerial candidate. The size of the dissenting camp, if any, was not immediately known (some suggest Fadila and ISCI but not Badr abstained). Compared with the process of government formation after the 15 December 2005 elections, this means we are at the 15 February 2006 stage, when the all-Shiite United Iraqi Alliance agreed on a candidate (Ibrahim al-Jaafari) to which other political parties had major objections (the government was eventually completed in June 2006 under Nuri al-Maliki). However, coalition-forming dynamics are different this time with no two-thirds supermajority requirement; accordingly the scenarios discussed above still apply. A key question will be whether the Kurds will press for concessions as a prerequisite for having Jalal Talabani installed as president, or whether they will agree to negotiate with Maliki after he has been nominated in parliament.